We had been wanting to try MiLA for a while now, a union created by a Mississippi and Louisiana Chef. It had been recommended to me over a year ago and then when we saw it on the list of New Orleans’ Top 10 Restaurants, we had to try it. If you are staying at the Pere Marquette Renaissance Hotel, it is conveniently located inside. We made an early dinner reservation because we were heading to a show at the Saenger Theatre. It was quiet inside and dimly lit, the décor was modern upscale, maybe a bit opulent. Our host seated us promptly and we had a lovely booth overlooking Baronne Street. 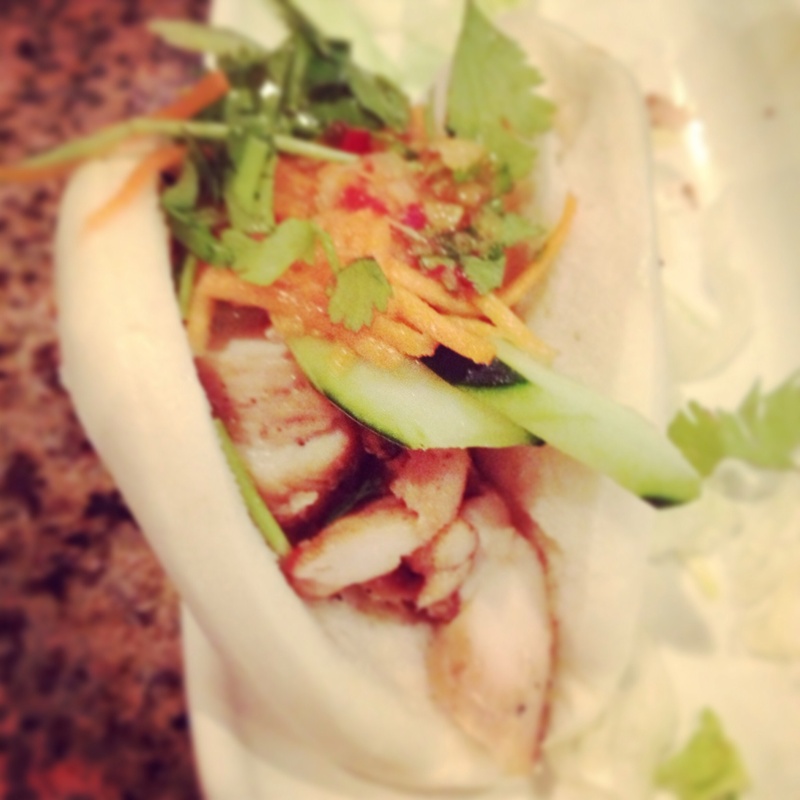 The menu is neither large nor overwhelming, but has a fair amount of appetizing options. They immediately brought out bread, but this was not ordinary bread. There were sweet potato rolls served with a lima bean puree and biscuits served with soft sea salt butter. Yum! We were conflicted over what to order, but our waiter was knowledgeable about the menu and very helpful. 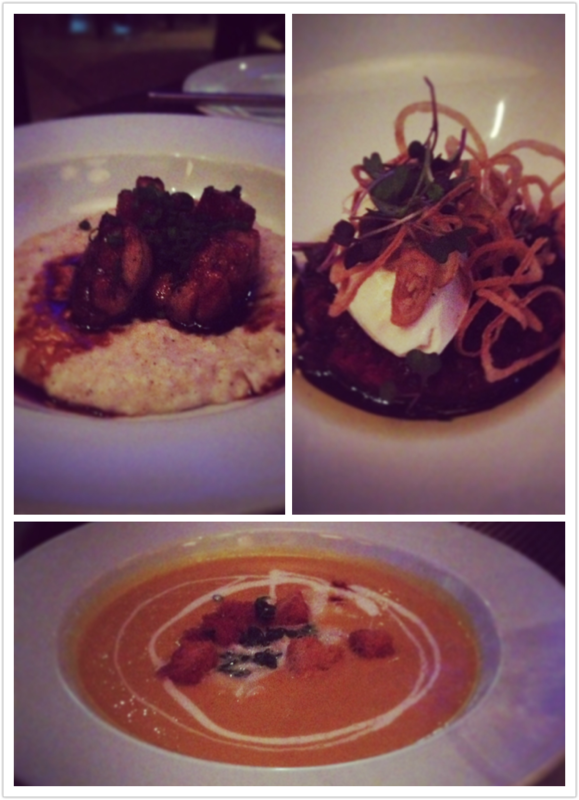 We began with the Pan Roasted Sweet Breads served over creamy black truffle grits, Creamy Butternut Squash Soup served with generous lumps of blue crab and crème fraiche, and a Roasted Beet Salad served with a goat cheese mousse (I know, I have a thing for beets lately). The Sweet Breads could have easily been a meal themselves, but were worth every bite. For our entrees, we ordered the Roasted Beef Tenderloin wrapped in Bacon and served with creamy salsify, and Crispy Baby French Chicken with a crawfish in a lobster sauce served with fingerling potatoes. Pan-fried and served with two tiny wings and two tiny chicken breasts, each was beautifully battered and served over the lobster sauce. 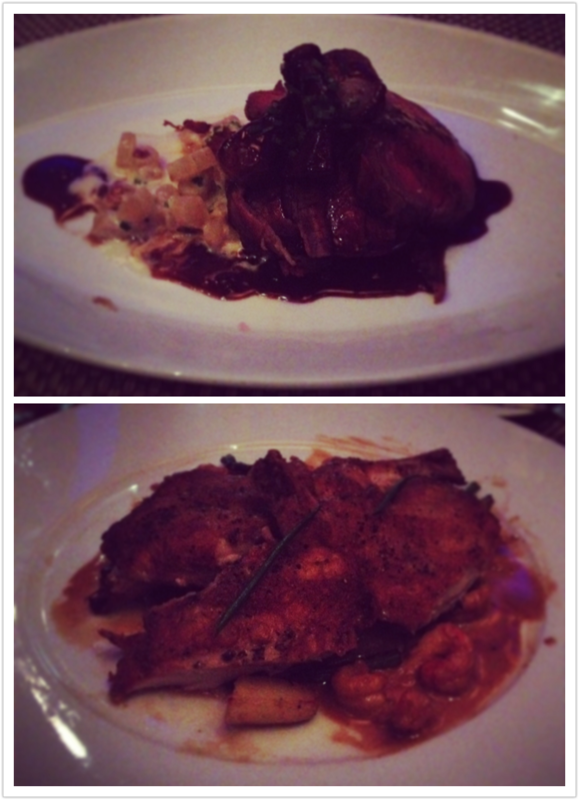 It was a cold winter’s night so both entrees hit the spot! For those of you who never tried or even heard of salsify, it is a root vegetable with an oyster like flavor, definitely an interesting vegetable. Of course, we still ordered dessert! How could I resist a Chocolate Peanut Butter Tart? 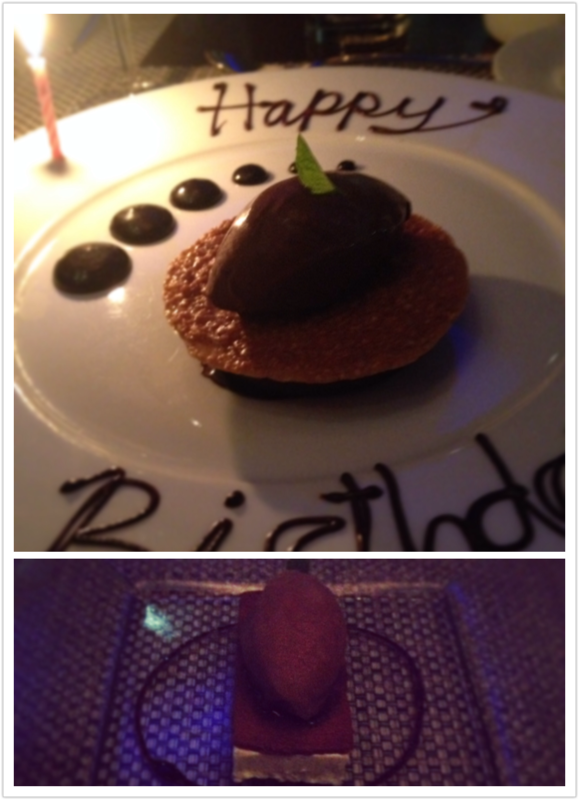 It was so rich, crispy and chocolaty served with a chocolate sorbet! We also ordered the Deconstructed Root Beer Float, which was really unique. 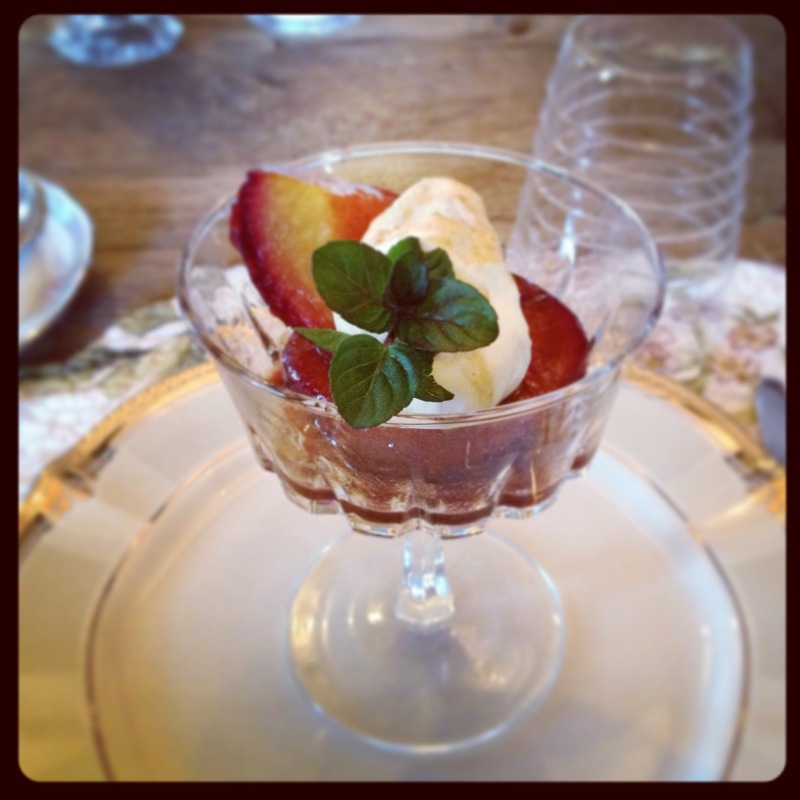 It was made with a vanilla bean bavarois, a ginger snap tuiles and an Abita Root Beer Sorbet. It is presented as an ice cream bar, but the moment you cut into it and take a bite, it tastes like an actual Root Beer Float! If you crave tacos and delicious homemade margaritas, this is your place. The Rum House is a Caribbean Taqueria situated on Magazine Street in New Orleans. Their menu is extensive and colorful. 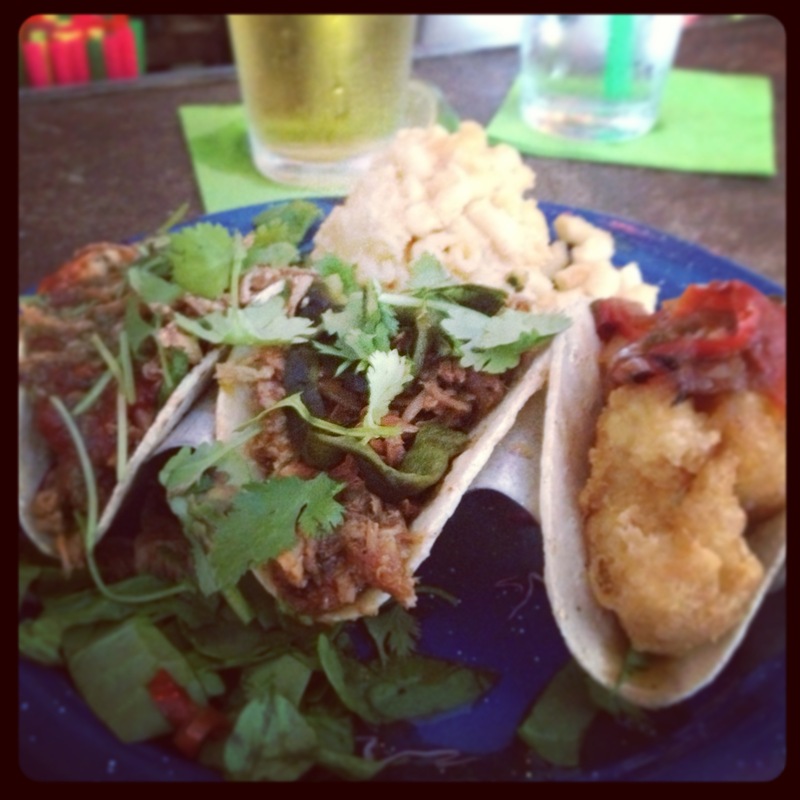 You can order eclectic appetizers such as conch fritters, Tuna ceviche tacos, or the pulled pork nachos. They also have entrees such as the spicy lamb shank in a tomato curry sauce or the seafood pepper pot, their version of a Caribbean bouillabaisse. The choices are really endless. But like I said, if it’s tacos you yearn for, go for the tacos. I also liked that they let you order taco combos, because it is difficult to just choose one! 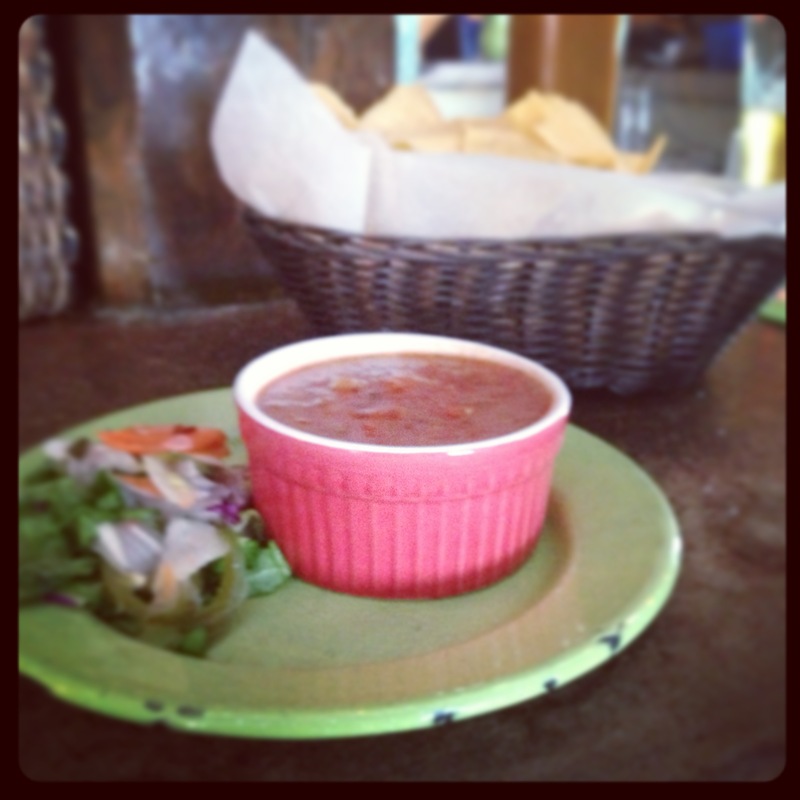 We started simply with their fire-roasted salsa and house fried chips. I also ordered their delicious strawberry margarita. I love when an establishment utilizes fresh strawberries to make a beverage, it makes all the difference. For our lunch, we ordered The Chili Glazed Shrimp taco, The Brisket Taco, The Carolina Taco and the Flaked Fish Taco (Mahi Mahi). For sides, we added the Jerked Rasta Veggies, Homemade Sweet Potato Chips and the Mac n’ Cheese (I know, random). I thoroughly enjoyed the Carolina Taco. The pulled pork, spicy bbq sauce and roasted corn relish were tantalizing! The flavors played a delicious dance in my mouth. 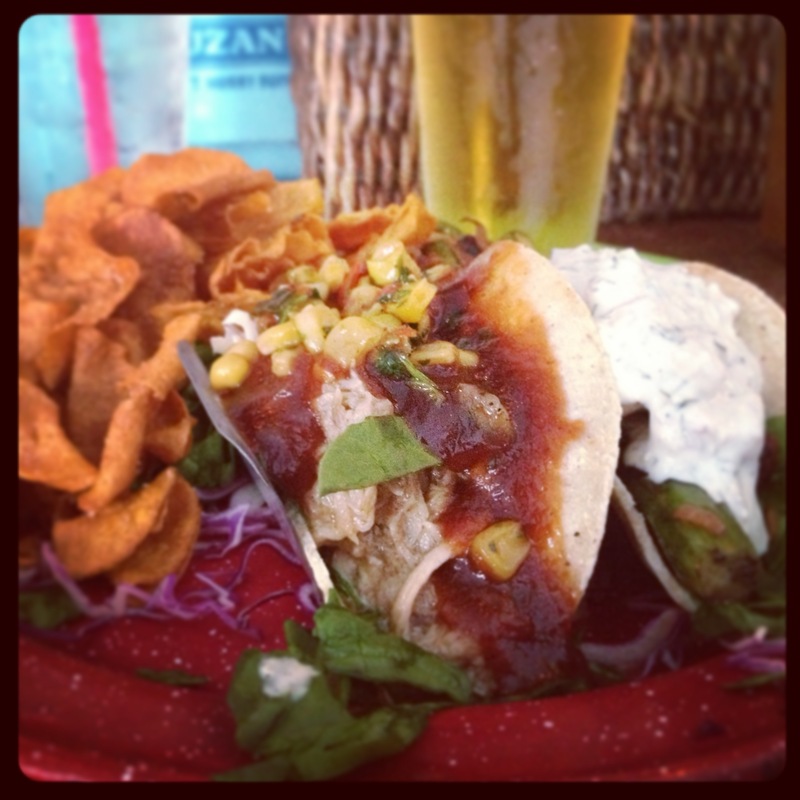 The Mahi Mahi Taco was a completely different dance. It contained asparagus (yes, asparagus), tomato chutney and dill tartar sauce. The flavors were pleasing but a hard follow-up to my Carolina Taco. The Chili Glazed Shrimp Taco was served with fried shrimp, roasted poblano and red pepper relish, with a rum chili glaze. To quote Ron Burgundy, it was a party in my mouth! One thing is for sure, besides crawfish, Louisianans sure love their Cochon! And Cochon Butcher is a pork lover’s paradise. To clarify, Cochon is the restaurant and Butcher is the sandwich shop created by Chef Donald Link. It isn’t just that they serve pork, it’s how they serve it. And if there is a new way to serve it up, Donald Link will find a way. 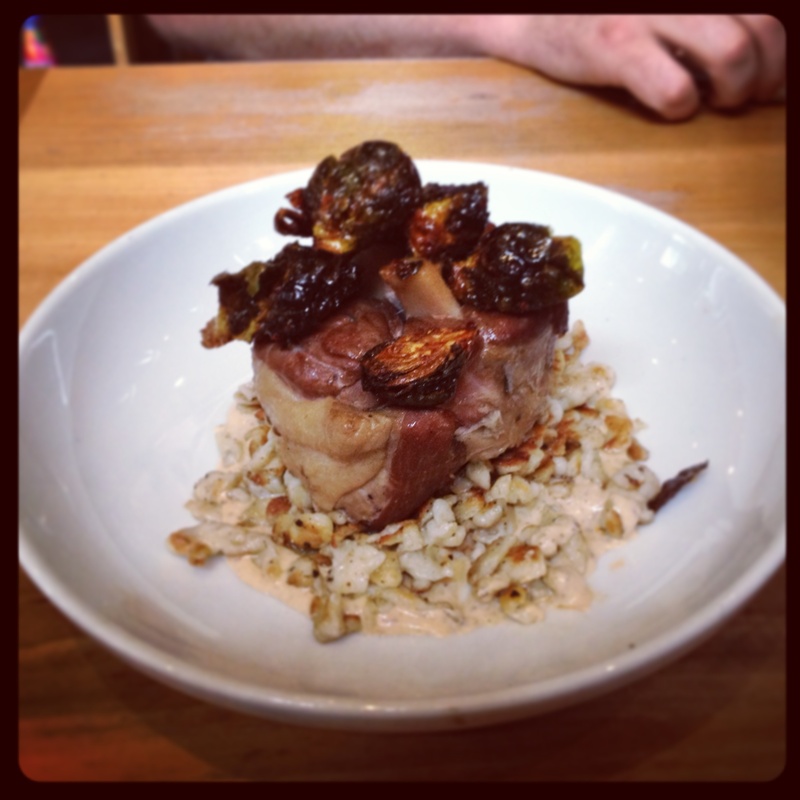 We visited Cochon and Butcher on two separate occasions. The first time was on a rainy Friday afternoon for lunch. The setting is rustic inside of a renovated warehouse. Their cocktail menu looked intriguing, but I passed seeing how it was lunch. There were many flavors of Cajun country on the menu. 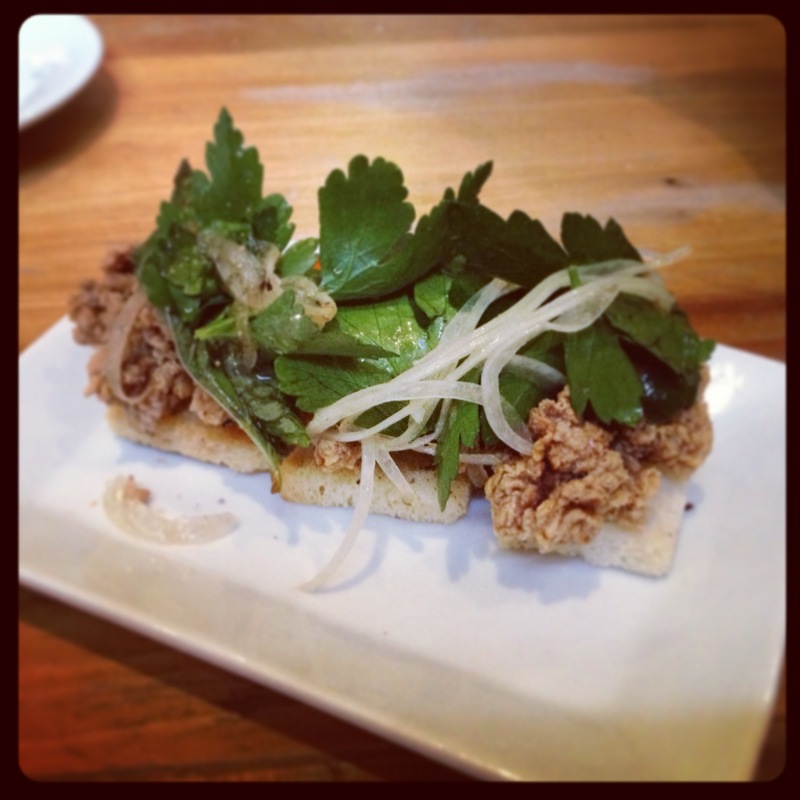 We started off with fried livers with pepper jelly on toast. It was simple but yet flavorful and delicious. For our entrees I had the pork tenderloin salad and my fiancé had the ham hock with spaetzle and roasted Brussels sprouts in a mustard cream sauce. Both were delicious and the ham was so tender it fell right off the bone! 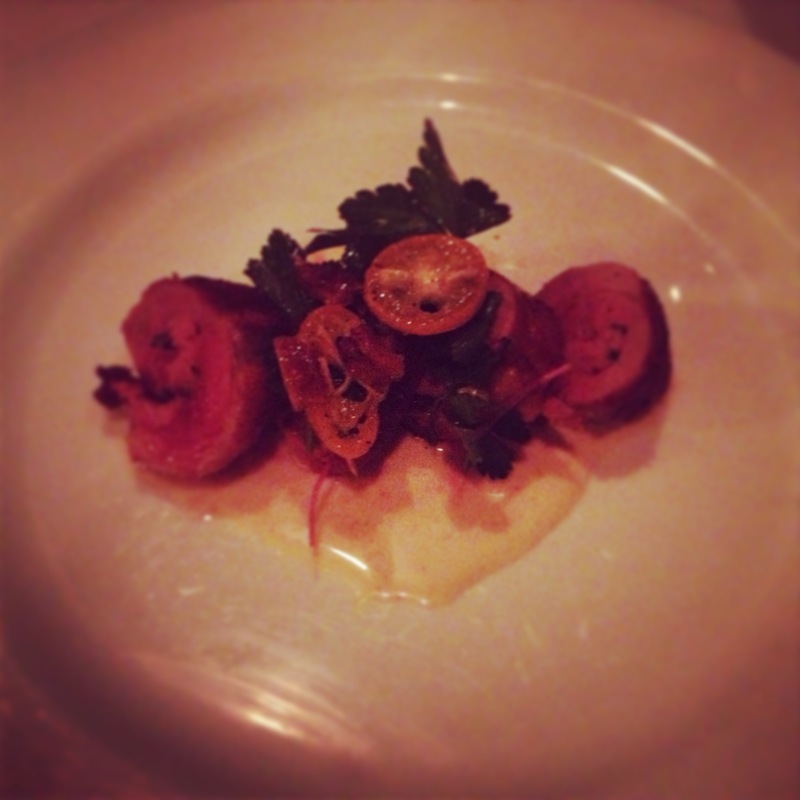 Everything was great and we couldn’t wait to return to try Butcher. The key to eating at Butcher is to arrive early. At 11 a.m. the place is already busy and at 12 p.m. there is a line out the door. Walking in, it appears to be just like any other deli with their meats on display and homemade pickles. The bonus is that it is also a wine bar. You can order a charcuterie plate or pancetta mac n’ cheese. The choice is yours! We ordered from their sandwich list. The cochon muffaletta made with their house meats and olive salad, and the cubano with roasted pork, ham and Swiss, pressed and grilled. 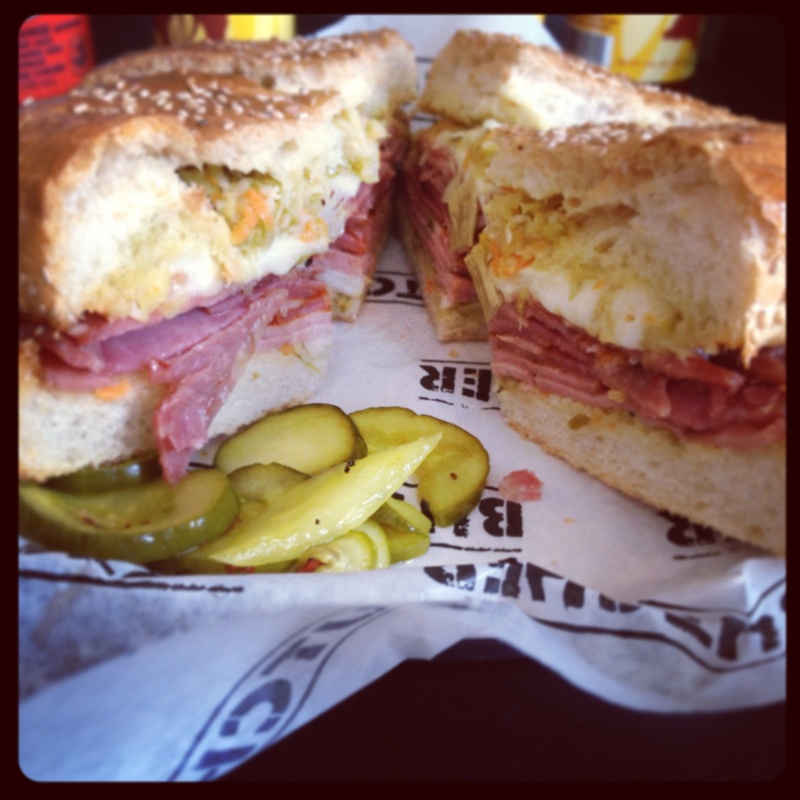 The cubano is served with a jalapeno chimichurri, so beware if you can’t do spicy! My muffaletta was fantastic! The house made meats and breads were scrumptious. I also thought the olive salad was just right, not too salty or oily. I would love to go back and try more on their menu. Until we meet again Cochon Butcher! A few weekends ago, my fiancé and I traveled to Lafayette for the weekend. I had not yet been to “Cajun country” as they call it, and I had really wanted to try the food there. The drive there was eerily beautiful, especially as you cross the Atchafalaya swamp. We stayed in a small town called Breaux Bridge for the weekend, known as the crawfish capital of Louisiana. Upon arriving, we were starving and desperate to eat. We stopped at a place called Le Café. It’s not really a café, per se. It reminds me of the clam shacks we have up north. We ordered a shrimp po’boy and the catfish platter. 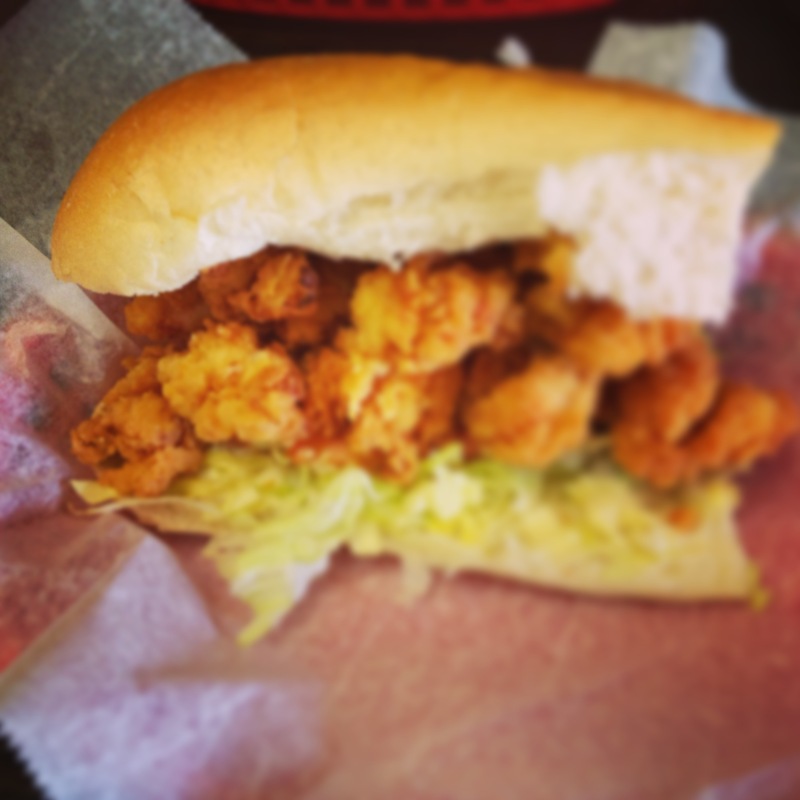 I was very pleased with my po’boy…the shrimp were huge! I hate when you order shrimp in Louisiana and they give you these little peewee shrimp. My fiancé also enjoyed his catfish, which was seasoned and fried to perfection. The other bonus is that they give you a ton of food and it’s cheap! The next morning we awakened to a lovely brunch at the inn. We did not realize our hosts were such gourmet chefs! She created a special treat of roasted plums served with mascarpone, fresh homemade biscuits, cherry tomatoes and pine nuts and crawfish étoufée served over scrambled eggs. It was the first time I had seen étoufée over scrambled eggs since moving to Louisiana. If you are hesitant at all, it’s actually a tasty treat! I’ve been thinking of making it at home for brunch ever since I tried it. To sum up, we had a delightful stay in Breaux Bridge and I have wanted to go back since then to try more of what Acadiana has to offer. This is going to be a long one folks, so stay with me (WARNING: YOU WILL PROBABLY BECOME UNBEARABLY FULL JUST FROM READING THIS). I have been spending a lot of time in New Orleans, lately. Not that I have any problem with that, I love New Orleans. But as usual, my trips there are all about the food. The night we arrived we headed to Pho Orchid in Metairie. New Orleans has many fantastic Vietnamese restaurants in the area, so I suggest you try one while you are there (if you have not). Of course we had some delicious pho while we were there but we also tried steam bún, labeled on the menu as Orchid Tacos. These were delicious and the most adorable little buns. The texture of the dough was amazing! Not too dense or soft and chewy, but just right. 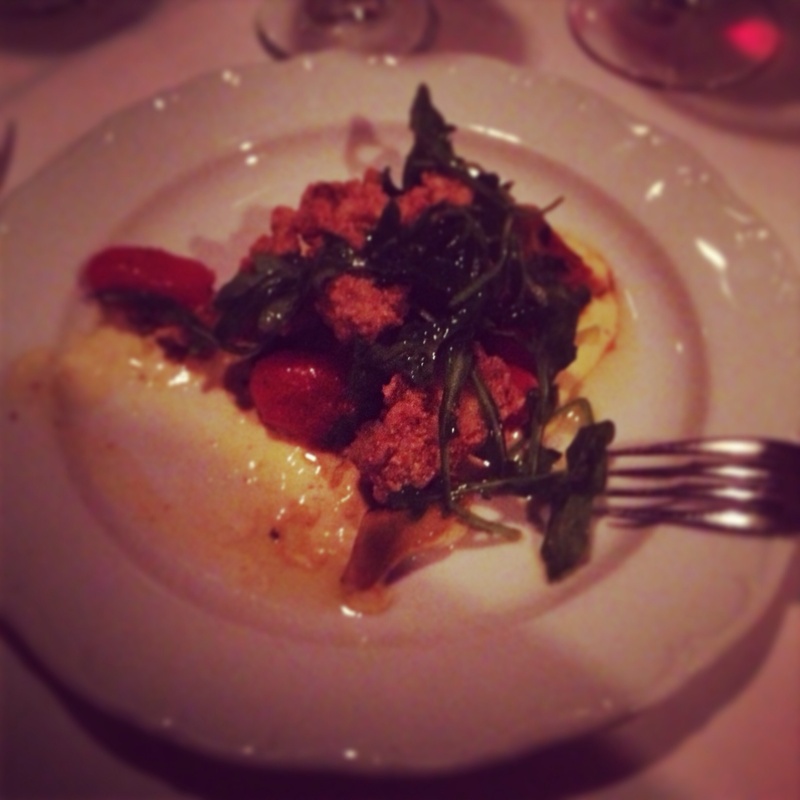 The following day we drove out to Lacombe, Louisiana, anxious to try John Besh’s La Provence restaurant. It is a charming and welcoming restaurant set on acres of land, where they serve what they grow. Everything on the menu sounded mouthwatering. I began with the crispy cornmeal fried oyster and artichoke salad served with saffron vinaigrette and my mother had the crispy Brussels sprouts salad served with pork belly, fig mustard and toasted almonds. For both our salads, the seasoning and ingredients combined perfectly. The taste superb! For our entrees we ordered the slow roasted duck breast served with red cabbage, rapini and duck spring rolls in a plum sauce. I think duck spring rolls may be my new favorite thing (or at least one of them). My mother had the whole roasted mangalista pork with ratatouille. At this point we were filled to the brim, but when does that ever stop us from ordering dessert? I of course ordered the peanut butter chocolate candy bar served with caramel ice cream and my mother had the Meyer lemon Ile Flottante. 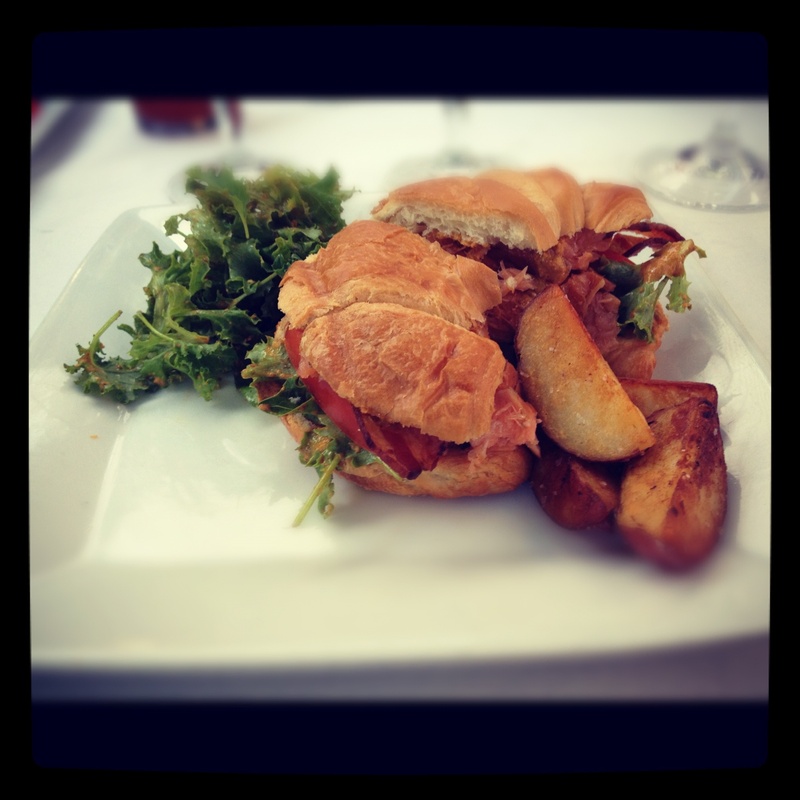 La Provence was a divine eating experience. Because we hadn’t blissfully tortured ourselves the night before, the next day we went to Commander’s Palace for brunch. I had never been and really wanted to try it. Have you ever been around the world in Disney? Well, if they had a place for New Orleans in Disney World, Commander’s Palace would fit right in. Ever since I moved to Louisiana, I had heard that if you want to try turtle soup, Commander’s Palace is the place to try it, so I did. To be honest, it’s not my favorite soup in the world, but it is flavorful. I also liked that they topped it off tableside with Sherry. 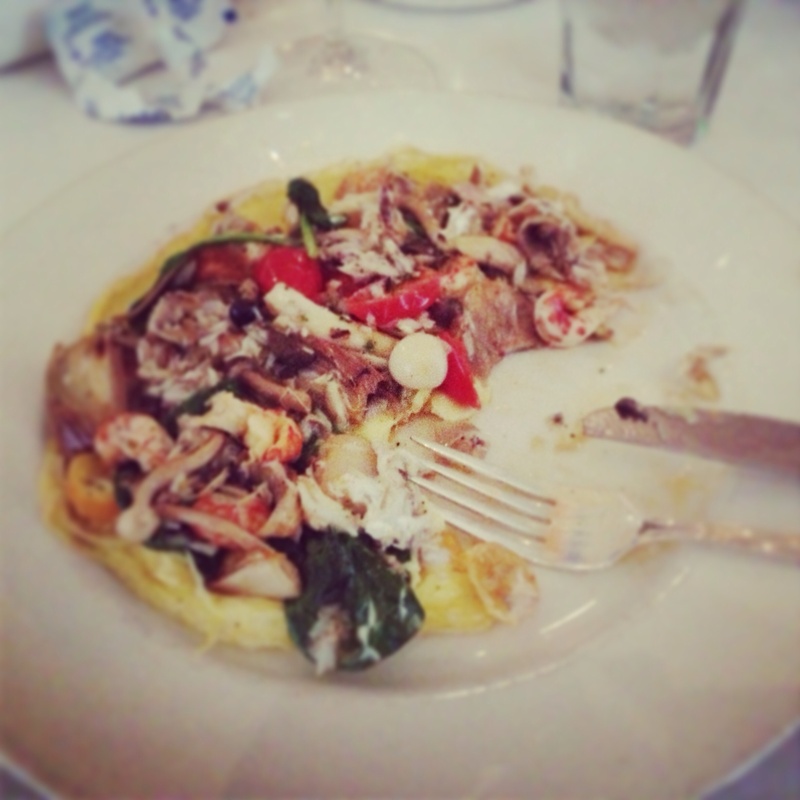 For our entrees we ordered the truffled Louisiana blue crab and crawfish frittata and the blue crab stuffed flounder. Both were equally delicious, butter roasted flounder stuffed with Brie cheese and local crabmeat and the frittata spiced with white truffle oil were tasty. To go out in style, we ended our meal with the creole bread pudding soufflé and LOCAL Fresh Strawberry Shortcake. And to answer your question, yes, we ate all of that in one weekend. This is going to have to be a two-part blog post. My mom and sister came to town to visit for a weekend. 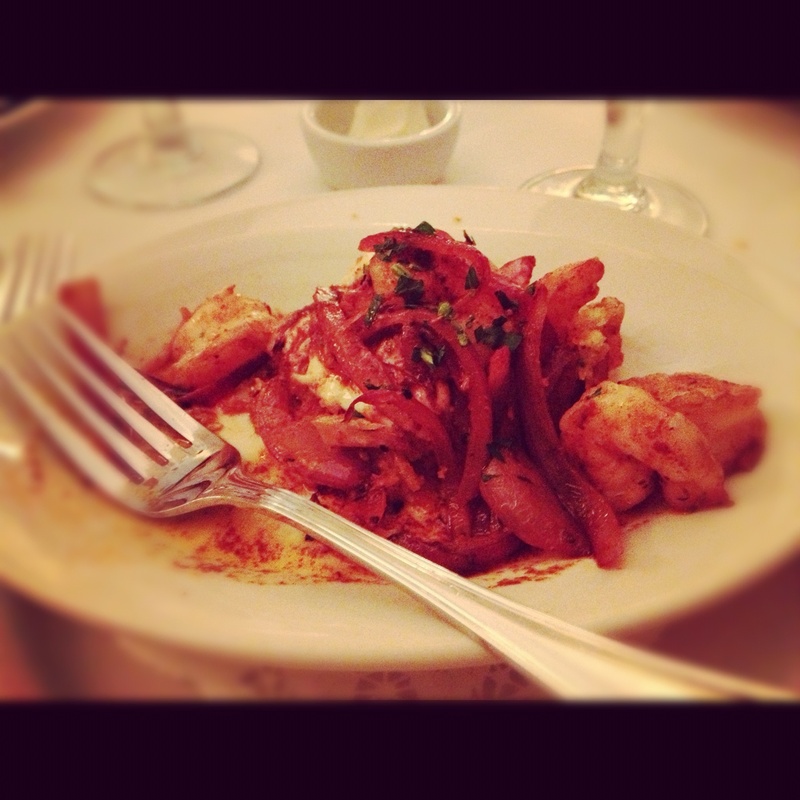 And what’s a trip to Louisiana without going to New Orleans and eating lots of delicious food? We spent the morning on Magazine Street, browsing through its charming little boutiques. Finally, when we were absolutely famished, we stopped at Martinique Bistro for Brunch, it’s a quaint and enchanting little bistro. I really adore their outdoor private courtyard. Their menu is crafted by using local ingredients from nearby farmers and fishermen. We sat down and immediately ordered some creole Bloody Marys. 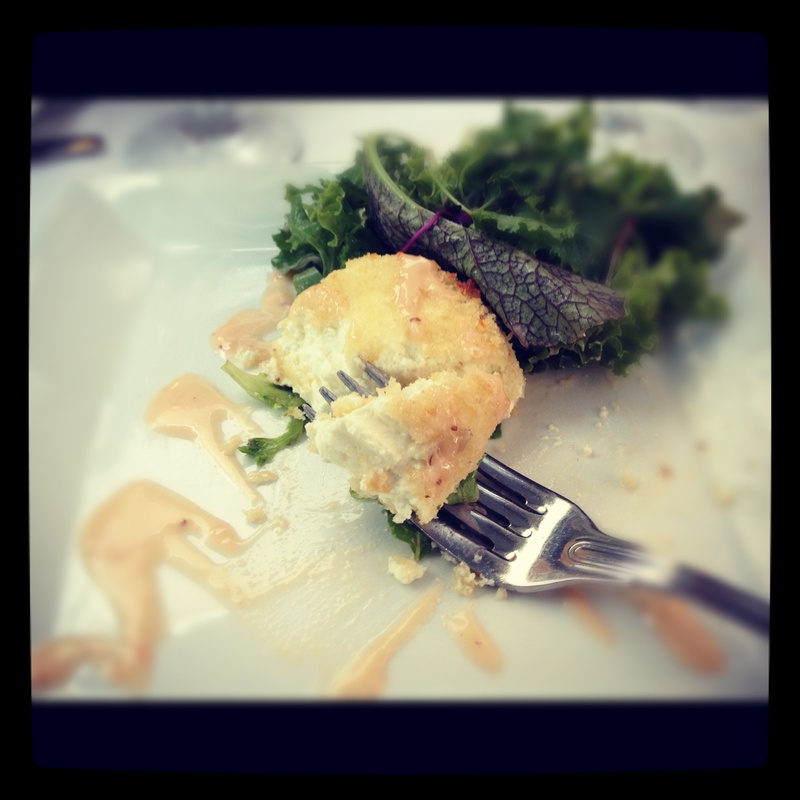 I began with the pine nut crusted goat cheese over a bed of baby lettuce. My sister had the Gulf Coast Apple Salad with blue cheese and my mother, the asparagus and watercress bisque. My mother must have really enjoyed her soup, because it was gone before I got to try it. The scarlet frill gave my sister’s apple salad an interesting appearance and I really enjoyed my goat cheese salad. For entrees we had the house smoked salmon club, the seared scallop nicoise and the French style crepe. Even though we were stuffed, we ordered the chocolate soufflé for dessert served with a Guinness ice cream. I really just wanted to try it because of the ice cream; it almost had a coffee like flavor to it. Feeling like we were going to burst at the seams, we headed back out onto Magazine Street for round two of shopping and to walk it off, of course. We drove back downtown, checked in to our hotel and went to roam the French Quarter. My mother had never experienced having chargrilled oysters in the Quarter so we had to bring her to Acme, which was packed and had a line out the door and around the corner. So we walked across the street to Felix’s, when we sat down to order we discovered they lost their liquor license (no wonder they had no line!) but suggested we walk around the corner and order our drinks and come back. So we did. Drinks in hand, we ordered crab fingers (if you haven’t had these before, you must! 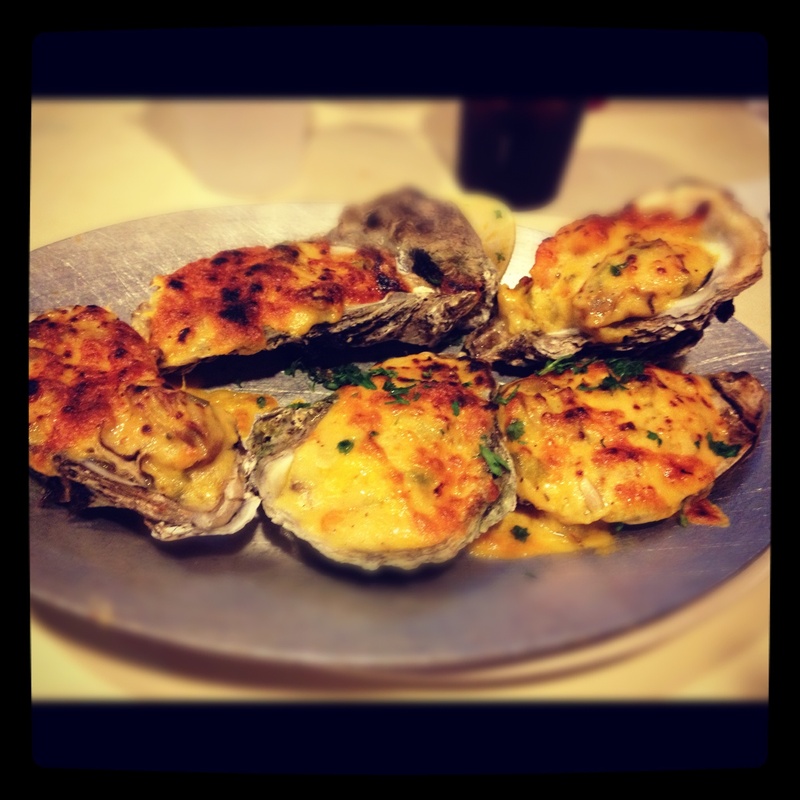 ), chargrilled oysters and oysters Bienville. I actually really enjoyed their chargrilled oysters, you could taste the smokiness in them. Then back to the hotel room. We got a taxi back uptown to the Upperline Restaurant, where our driver missed the street because he said we smelled so good! Finally having arrived at our destination, we were presented with a charming little house that is Upperline. It is definitely a restaurant that the locals frequent. It is warm and inviting, the people there are friendly. They serve mostly Cajun and creole food with a modern flare. To start we ordered the Fried Green Tomato with Shrimp Remoulade and Spicy Shrimp with Jalapeño Cornbread & Aïoli. I relished in my appetizer (is that weird to say?). It doesn’t sound like anything amazing on the menu, but it is! The flavors are zesty and fiery, but not over powering. For dinner we ordered the petite filet served with fried oysters and a béarnaise sauce, grouper and a slow roasted duck served with a peach sauce. I don’t think I need to say it again, but we left satiated. My advice for anyone going to New Orleans, especially for the food, leave the Quarter! Not that there isn’t great places to eat at in the courter, but there is so much more else where around town. Go out and explore! Traveling north on Route 61, towards Natchez, we were suddenly ravenous. It was after work on a Friday and we needed to eat something and quick! 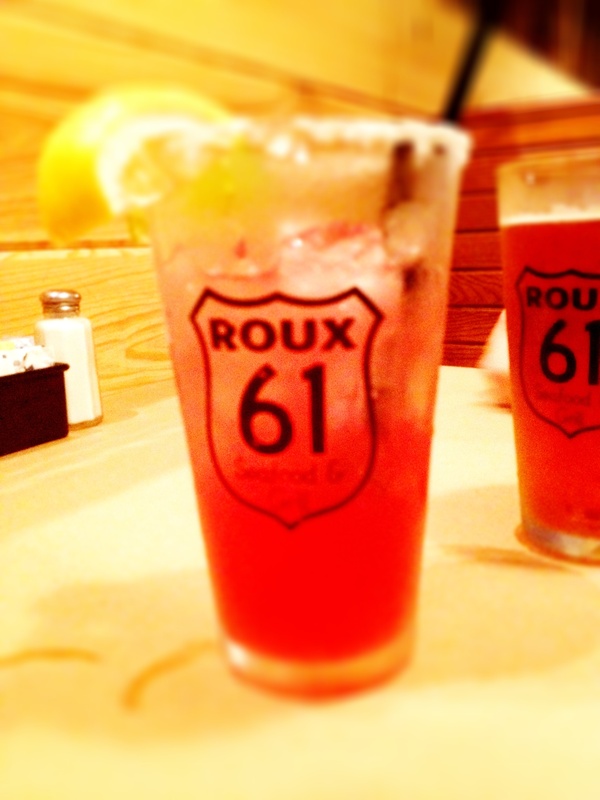 Right when we get to Natchez, we see a restaurant called Roux 61. How fitting! We decide to try it and just not expect much of it, because let’s face it, we were starving. When you walk in, you immediately feel like this is a chain, like outback steakhouse, or some family friendly place. Not in the mood to eat healthy, (I mean it was Friday) we order the stuffed portabella mushrooms and Roux Rita cocktail. 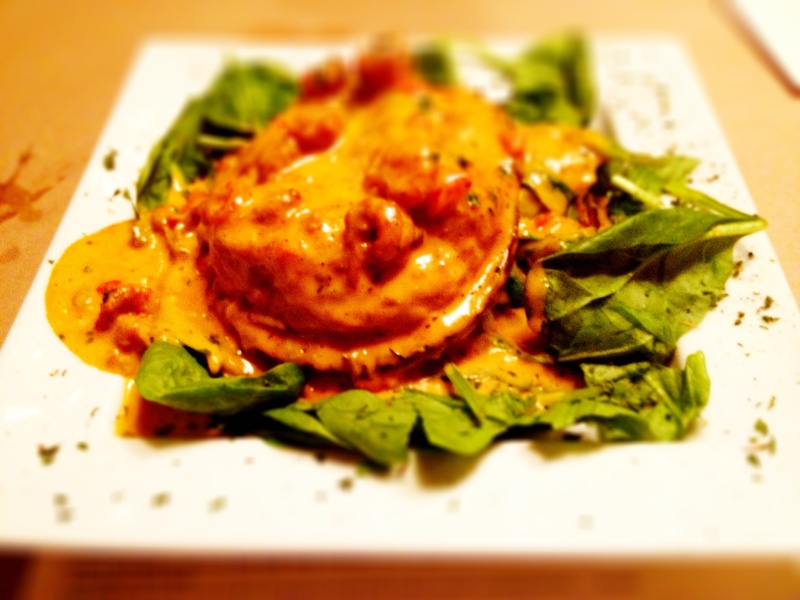 It’s stuffed with crabmeat and topped with a crawfish sauce. Very rich and tasty. I guess the bed of spinach it came on made it healthy, ha-ha. The Roux Rita was also very good, not made with sour mix and not too sweet. I ordered the Barbeque Burger. It was huge! 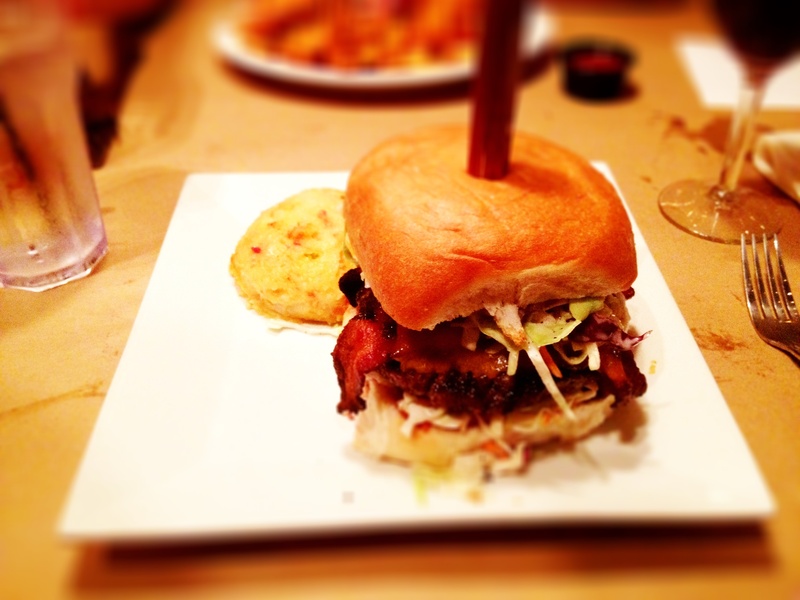 Topped with cheddar cheese, bbq sauce, pecan smoked bacon and their own homemade coleslaw on a sourdough bun. And it was cooked medium, just like I asked! Amazing! My fiancé ordered the shrimp platter. It was good ol’ southern cooking. Needless to say, we left in a food coma. 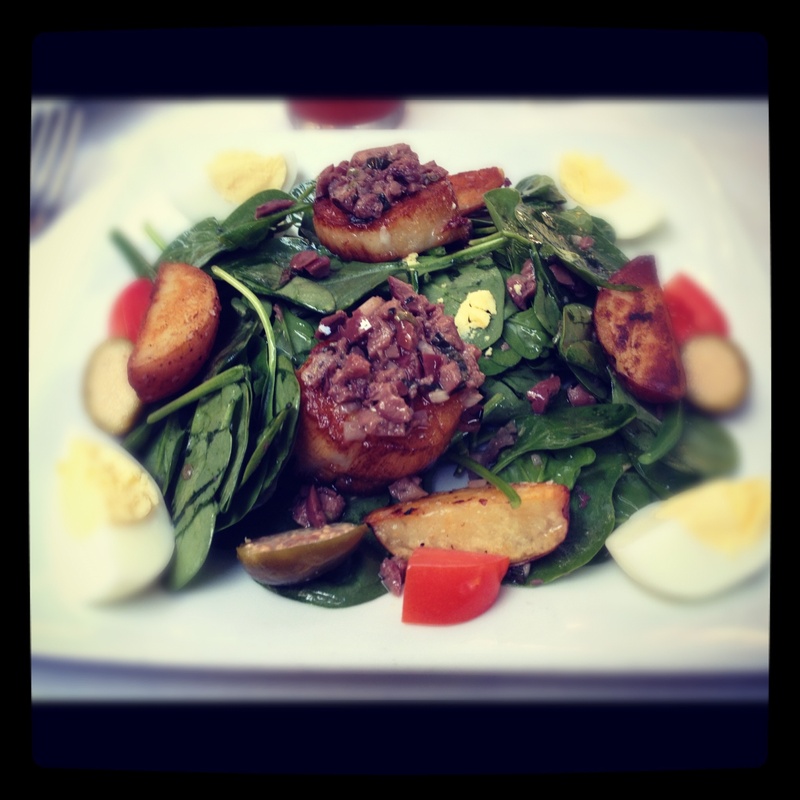 Pleasantly surprised, Roux 61, pleasantly surprised! So I know it’s still hot and only July but all this heat has me thinking of the fall. Autumn is my absolute favorite season and if you love it like I do, you will appreciate this post. 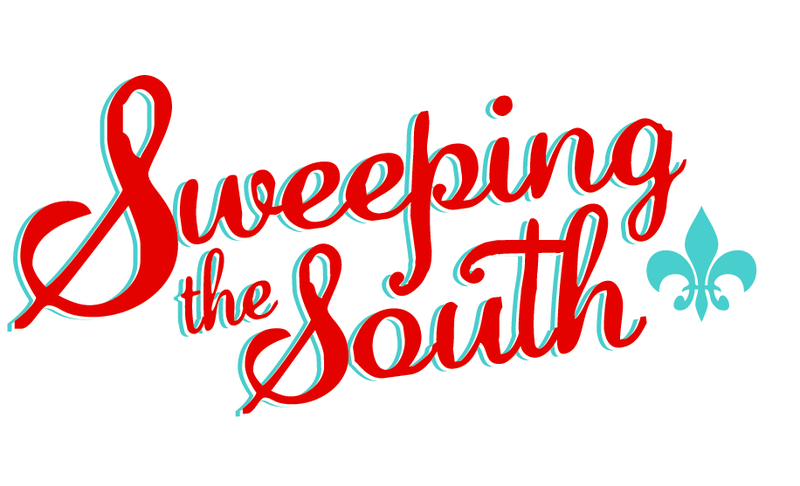 I didn’t think the fall existed in the deep south, but last November proved me wrong. 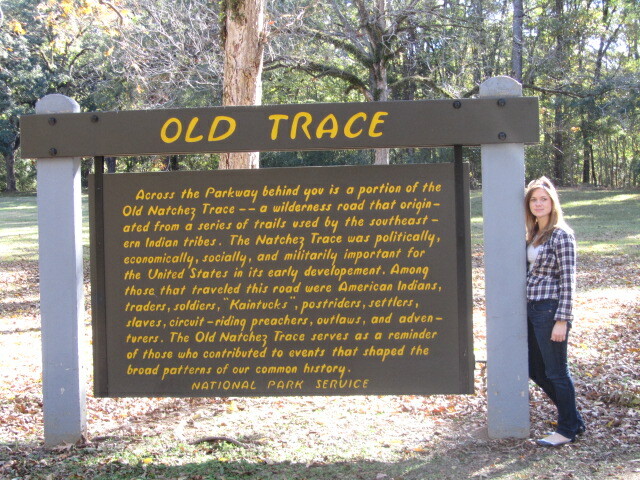 My boyfriend and I traveled to Natchez, Mississippi to see Angels on the Bluff (really great experience) and the following day we began the Natchez Trace. 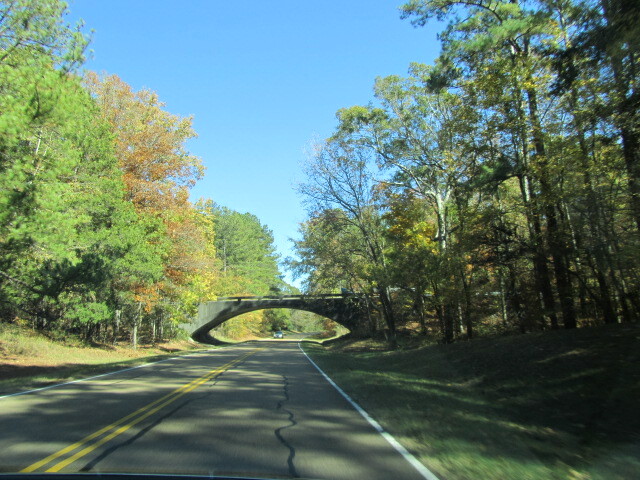 It’s a pristine road that takes you from Natchez to Nashville. We only had time to go to Jackson and that took the entire day. There are a great many stops and detours along the way, and if you love history like I do, you will want to see them all. It was a beautiful day, the air was crisp and the foliage was lovely. Some of the stops along the way included Mount Locust. 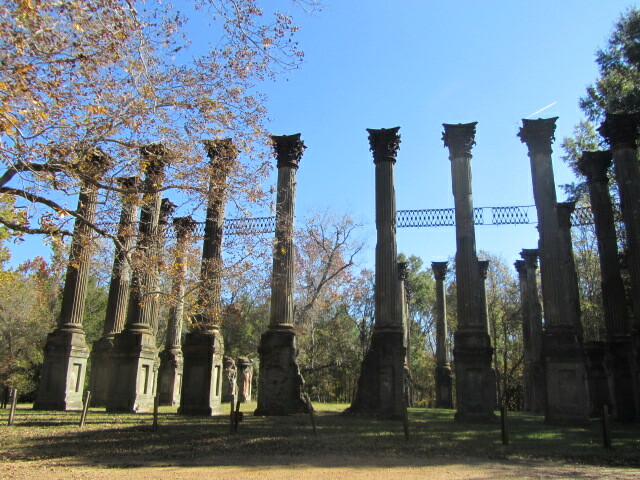 One of the oldest structures in Mississippi. And the Windsor Ruins which I think is a must see! It’s like you are visiting an ancient Greek Ruin. 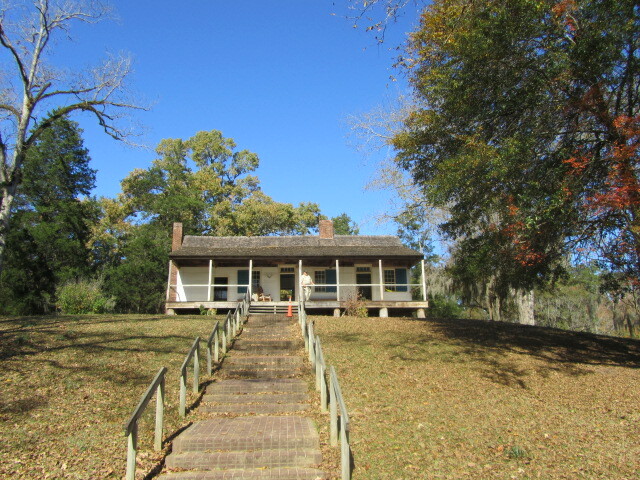 At one time, it was the largest Greek Revival antebellum mansion in the state. There is also a ghost town known as Rocky Springs (after the spring dried up, it was just rocky). 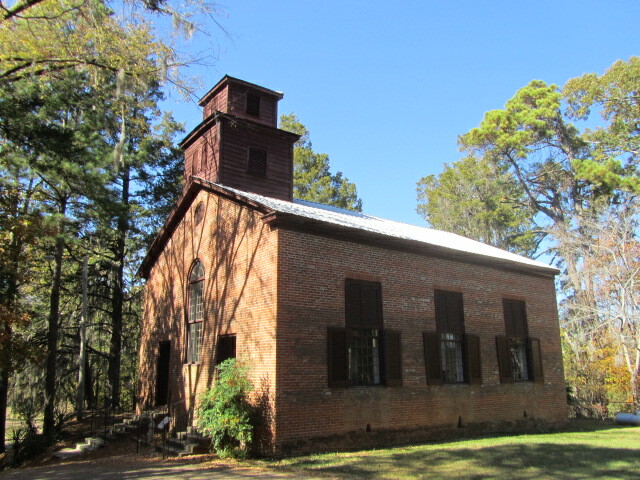 Many of the structures have disappeared but the old church is still there and functioning. 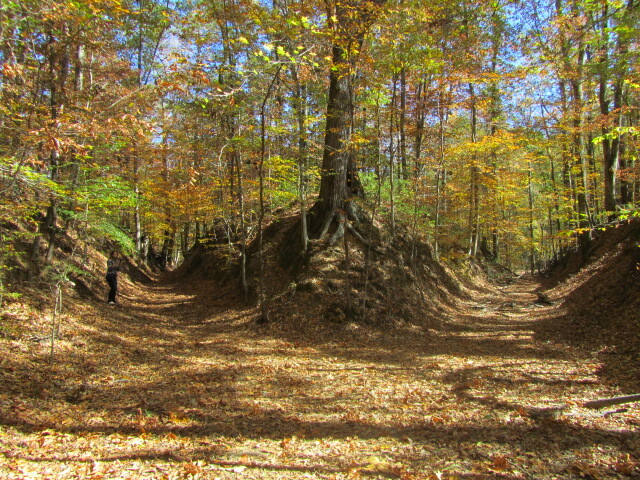 Along the way you can also see areas of the Sunken Trace. And if you aren’t interested in history at all, you can still take the drive. It’s beautiful in the Spring and Fall and great for motorcycle riding. Lastly, because I can’t go anywhere without talking about food, we happened to stop at this restaurant for lunch voted best fried chicken by Food and Wine magazine. Two Sisters Kitchen located in Jackson, MS is really delicious!